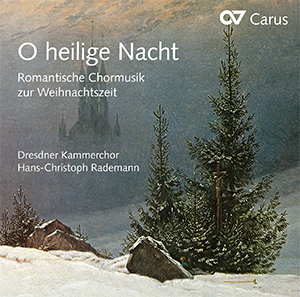 Just in time for the 30th anniversary season of the Dresdner Kammerchor, a new Christmas CD with the choir under the direction of Hans-Christoph Rademann is being released. 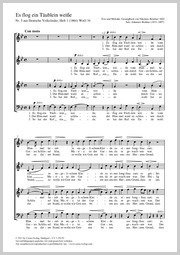 The recording features romantic arrangements of classical Advent and Christmas carols. 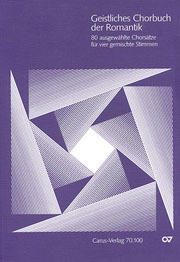 The recorded works are characterized by this revival of the traditional, the old melodies and texts from the 14th to 18th centuries; but at the same time by the merging of the past with the (musical) future. The composers, among them Max Reger, Carl Loewe, Max Bruch and Johannes Brahms, point towards the modern era with their musical languages, the timbres, harmonic progressions and chromatic enhancements. 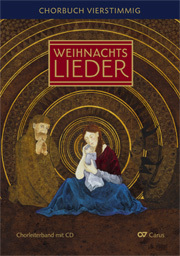 In this sense, the present CD – over and above the worthwhile discovery of unknown works, the artistic enjoyment of the performance and the musical attunement to Christmastide – is also an invitation to let oneself be drawn into a movement in which Advent is recognized as the simultaneity of the past and the future.